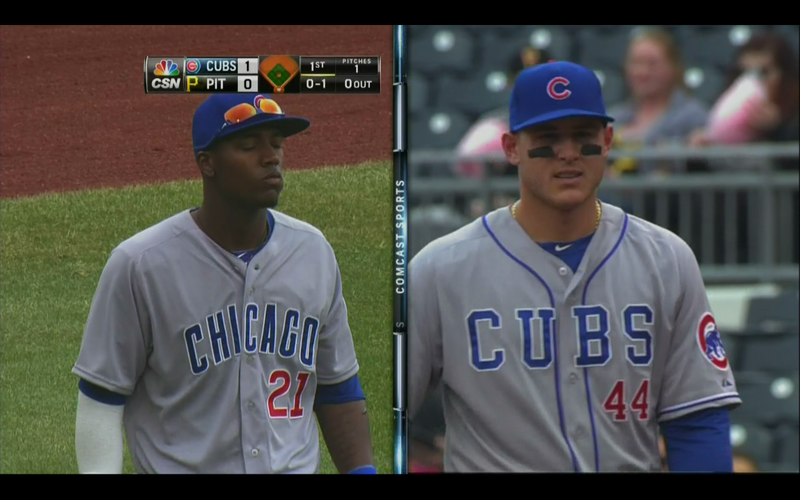 So those are the hats that the Cubs and White Sox will be wearing on Memorial Day this season. You can see the hats of every MLB team right here, but I’m not sure there’s any point to it. They’re all that ugly. Derrick Rose has played in only 49 games during the last three seasons, but it doesn’t seem to be affecting his popularity. At least, not in NBA merchandise sales. 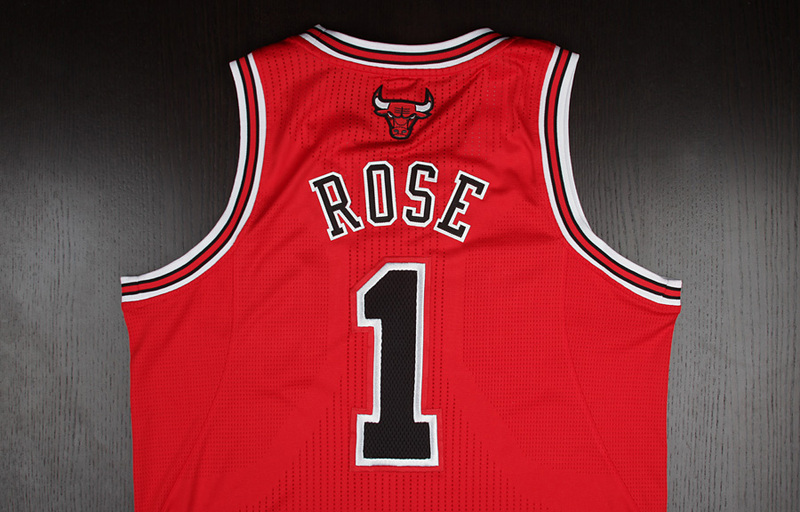 The NBA released its list of the top jerseys sold for this season, and Rose’s jersey pops up in fourth place, behind only LeBron James, Kevin Durant and Kobe Bryant. Somewhat more remarkable is the fact that Rose’s jersey was ranked fifth last year. So I guess the 10 games he managed to play this season helped spike sales. Illinois has been hyping up its new uniform reveal for over a month now, and tonight is the night the school is finally going to show off its new look. Unfortunately for Illinois, the internet exists, and the internet has a way of spoiling the surprise. On Tuesday night that surprise was spoiled, as pictures of the new uniforms leaked online. 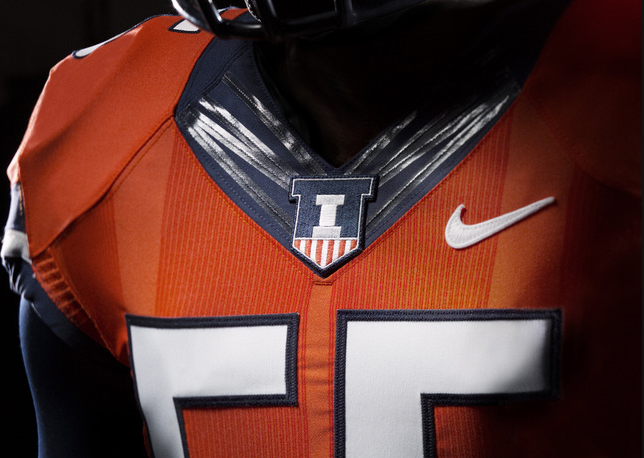 At least, we can only assume these are the uniforms for now, as Illinois hasn’t made them official yet. I tweeted photos of them last night, but in case you weren’t around, don’t worry. They’re all after the jump. I know that the Cubs played 16 innings into the wee morning hours and then had a quick turnaround to this morning’s game, but is putting on the right jersey something you need a full night’s sleep for? Is this Junior Lake’s formal protest against the new road jerseys? Is wearing different uniforms in the same game the new market inefficiency that Theo Epstein and Jed Hoyer are exploiting? THESE MYSTERIES AND MORE ALL SOLVED WITH ONE WORD: CUBS. Photos of this year’s shirts leaked a few weeks ago, but they became official on Tuesday when unveiled during the team’s kickoff luncheon. And they are, well, they’re something special, huh? And by something special I mean they look like something I could have made using MS Paint back in the Windows 95 days. I really don’t know why the NBA is making the shift from regular old basketball jerseys to t-shirts, other than marketing purposes anyway, but it’s starting to look like the league is committed to the idea. 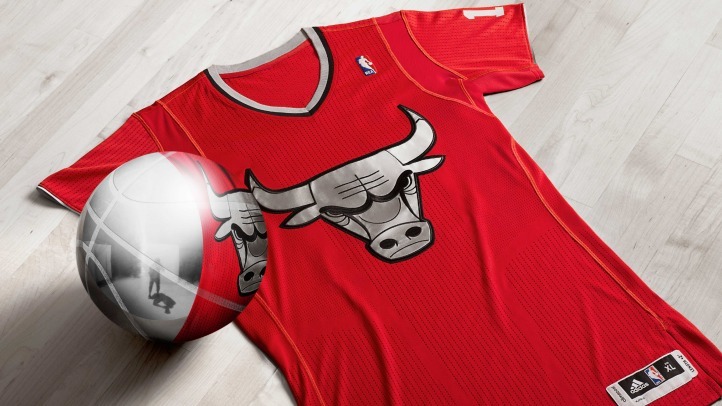 The Bulls have already worn the shirseys this season on Christmas (pictured up top), and there will be at least two more occasions when they bust out new versions of them. This is excellent news for those of you who loved the 83 uniforms last year. Personally, I was not one of you. I don’t hate them or anything, but I don’t think they look nearly as good as so many of you seem to. The main difference, aside from the hat, is that these won’t just be for Sunday home games anymore. The team can wear them whenever the hell they want. That is the alternate road jersey the Cubs will wear this season, but it’s not the only new, old uniform you’ll see. The Cubs will also sport different throwback jerseys for Sunday home games.